Australian Catholic Religious Against Trafficking in Humans (ACRATH) and other Church groups have made submissions strongly supporting the legislation, but have urged politicians to make changes to protect the vulnerable. Key recommendations from Church groups include: the appointment of an independent anti-slavery commissioner; registration and monitoring of labour hire agencies; the establishment of a national compensation scheme; and penalties for entities that refuse to comply with reporting obligations. Introduced into Federal Parliament in June, the Modern Slavery Bill will require Australia’s largest businesses – ones with annual consolidated revenue of more than $100 million – to publish annual statements on the steps they are taking to address modern slavery in their supply chains and operations. 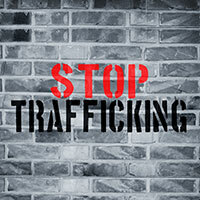 The inquiry and subsequent bill follows Pope Francis’s call for a concerted worldwide effort to address the root causes of human trafficking, which he describes as a crime against humanity. Bishop Greg O’Kelly SJ, chairman of the Bishops Commission for Justice, Ecology and Development, welcomed the bill as a first step in national efforts against slavery. “But further work is needed to establish an independent anti-slavery commissioner with the resources to drive efforts to eradicate modern slavery, hold large organisations accountable and to introduce human rights due diligence on all public sector procurement,” Bishop O’Kelly said. Two years ago, the Vatican City State committed to slavery-proof its own supply chains. Commenting on the proposed legislation, the Archdiocese of Sydney affirmed its proactive approach to addressing modern slavery by “slavery-proofing” its own supply chains, independent of any state or federal legislation. The Archdiocese of Sydney strongly recommended that the Australian Government, in accordance with international best practice, enact modern slavery supply chain legislation, with mandatory and enforceable due diligence provisions. The Josephite Counter-Trafficking Project (JCTP), a congregational project of the Sisters of St Joseph of the Sacred Heart, argued that any response to the trafficking of people in Australia should have a human rights approach. “We acknowledge that criminal proceedings do act as a deterrent to traffickers, but we are more concerned about the human dignity and wellbeing of the trafficked person,” the JCTP told the parliamentary inquiry, adding that “mandatory reporting without penalties for non-compliance is like a toothless tiger”. In ACRATH’s submission, its president Sr Noelene Simmons SM welcomed the bill, but pointed out its legislative limitations, echoing other calls for the appointment of an independent anti-slavery commissioner and the establishment of a compensation mechanism. “While it is pleasing to see the Modern Slavery Bill aims to prevent and/or eradicate slavery from supply chains, it is important that the rights of those who have already been trafficked or enslaved are not overlooked,” she said. Sr Noelene said the inconsistency of schemes across the country is a concern, as is the inconsistency between state and territory offences and federal offences. Good Shepherd Australia New Zealand, part of the Good Shepherd Asia-Pacific Anti-Trafficking Network and a key stakeholder on networks to address forced marriage in New South Wales and Victoria, called for the removal of “forced marriage” from the supply chain reporting requirement. The group called instead for investment in tailored strategies that had a proven evidence base for prevention, intervention and protection. “While we recognise the need for a nationally consistent legal definition of modern slavery, the inclusion of forced marriage in the bill is likely to have a series of unintended consequences which are not in the best interests of those affected by the practice,” the group’s submission said. Catholic Women’s League Australia president Valma Ivory explained that a bill establishing a modern slavery reporting requirement was greatly needed in Australia. “Creating an obligation on businesses and other entities to make annual public reports or modern slavery statements would ensure a greater degree of transparency and accountability amongst such organisations, thereby compelling them by legislation to play a part in both preventing and eradicating slavery in Australia,” she said.